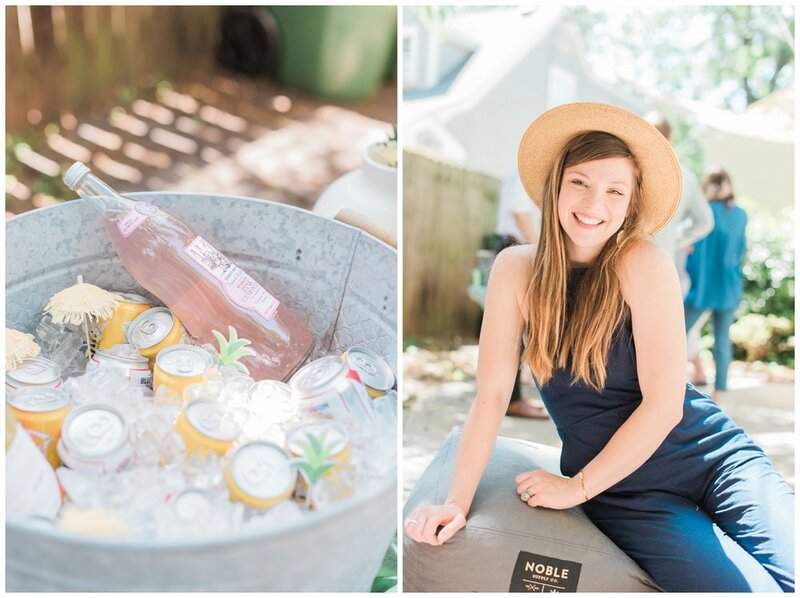 I got to spend time recently with one of my favorite wedding planners and friends, Brianne of Brianne McMullan Events and her husband at Whittier Mill Park to document this moment in time before the arrival of their first child, Henry! I can't wait to meet this little boy who is already so so loved. I'll be dancing like the emoji lady when he decides to arrive! Also, if you need a wedding planner, check this lady out. Sweet baby Dax is finally here! I'm so happy for Courtney and Cody and their new little one. To see photos from their maternity session click HERE. It was so fun getting to catch up with Stacia, who is one of my sorority sisters from UGA, and getting to meet her husband and their sweet pup! 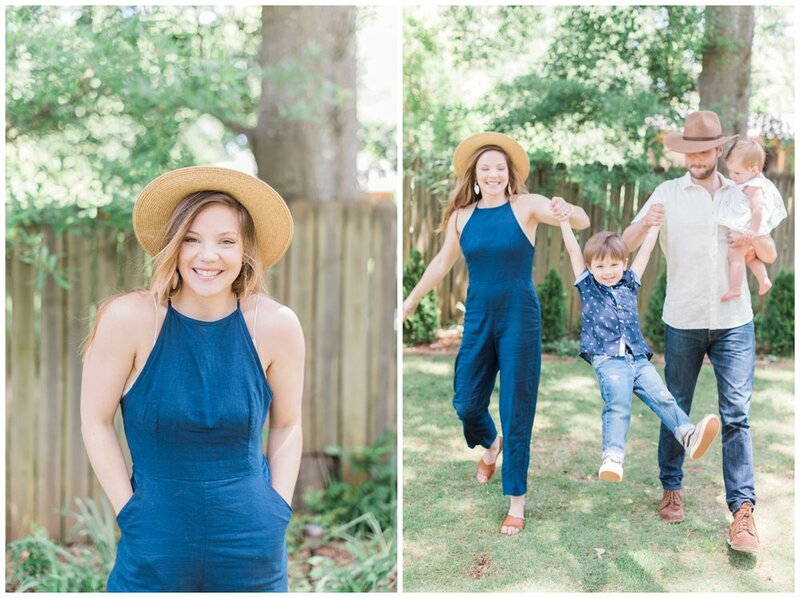 So glad I could capture a few moments of their cute little family together on such a pretty day at Piedmont Park. I had a roll of Portra 400 to finish off recently so when I visited my friend Katie at her and her husband's new house, we had an impromptu mommy/teddy photo session! 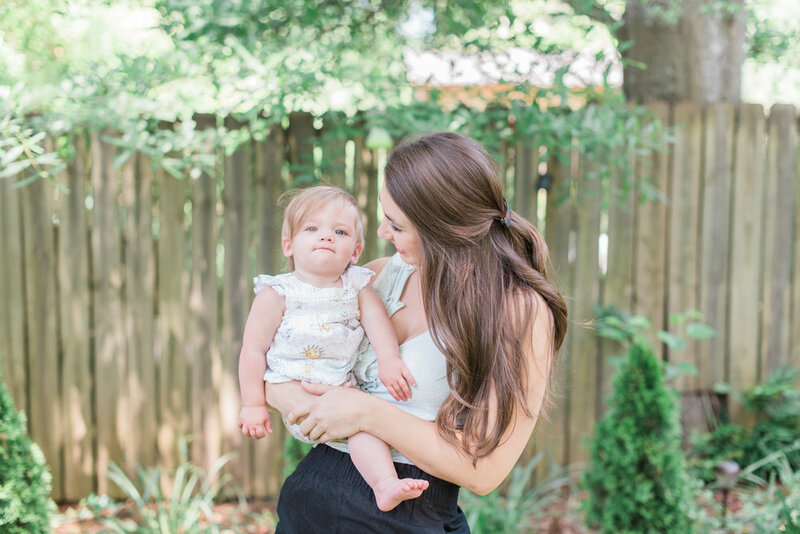 I love this sweet friend and the fact that she makes one of the best models (and her baby too!) and isn't even wearing make up. Featured over on Beyond the Wanderlust. Today is my big brother's 28th birthday! Last time I got to see him, we were celebrating his graduation from the University of Memphis where he graduated with his MBA as a FedEx Scholar. I'm so proud of him and his accomplishments. I've gotten a little behind on my blogging, but I'm loving going back through these sessions. I got to photograph the Vestal family this past spring. I believe it was a mother's day present for Amber. 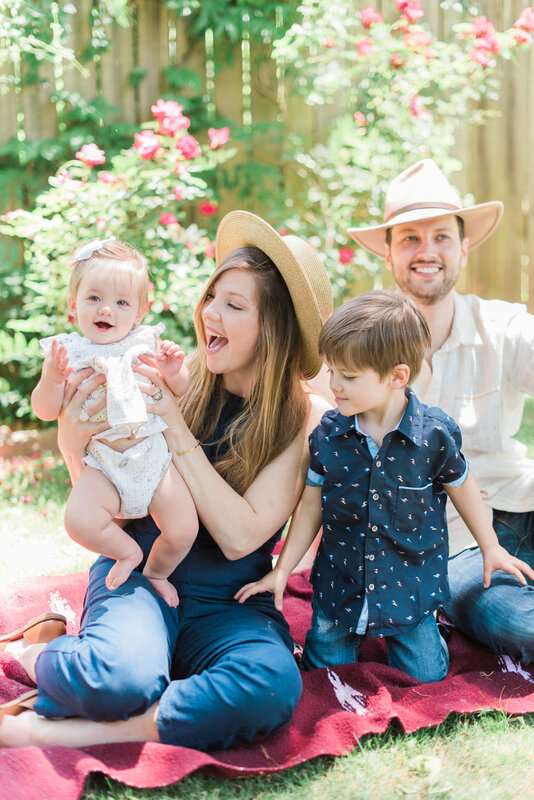 From what I've seen, all mothers really want is pictures of their kids, so if you ever don't know what to get your mom - a photography session is perfect! This family is so sweet and these kiddos are hysterical! And not just the kind of funny because they're kids, but they are legit funny. I was cracking up the whole time and it made me smile as I edited through them later. Here a few from our session. Enjoy! Happy (belated) Mother's Day, Amber!